As a global association for practitioners who specialise in family inheritance and succession planning, JRW Tax Manager Brona MacDougall is now a Trust and Estate Practitioner or ‘TEP’ in the Borders, the designation given to full members of STEP. STEP members help families plan for their futures and as specialists in inheritance and succession planning, they can draft wills and trusts, administer estates, act as trustees and advise families on how best to structure their finances to ensure compliance and preserve their assets for future generations. Full STEP members, known as TEPs, are internationally recognised as experts in their field, with proven qualifications and experience. “I am delighted to have finished the final exam for my Diploma in Trusts and Estates Scotland, meaning that I am now a fully qualified TEP. But what does that mean for you I hear you say! 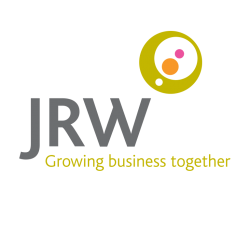 In this article I introduce this specialist qualification and outline the advice and representation that JRW can now bring to families throughout the Borders and beyond. STEP is a very popular qualification in legal circles and it is one of the biggest growing professional qualifications for lawyers and accountants in the United States. This is a global association for practitioners who specialise in family inheritance and succession planning and TEP’s provide choice, structure and security for the sometimes vulnerable members of today’s extended, multi-generational, multi-jurisdictional and multi-relationship families. Estate planning has become more and more relevant in the UK in recent years due to the freeze in the Inheritance tax Nil Rate Band since 2009 and the level of scrutiny being applied in respect of agricultural property relief and business property relief claims in recent years. To become a TEP, practitioners must have a combination of specialist qualifications and experience, including significant involvement at a specialist level with inheritance and succession planning. Why should you use a TEP? Choosing a professional to help you to deal with such important and often sensitive issues can be difficult. Many aspects of planning are non-regulated, meaning anyone can write a will, for example, regardless of training or expertise. With a TEP, you are in safe hands. TEPs are recognised experts in their field, with proven qualifications and experience and membership of STEP shows a significant commitment to continued professional development in this specialist area. TEPs are subject to an extensive Code of Professional Conduct requiring them at all times to act with integrity and in a manner that inspires the confidence, respect and trust of their clients and of the wider community. TEPs are required to maintain and develop the knowledge and skills relevant to their role as a condition of their continued membership. This means TEPs will always be up to date with the latest legal, technical and regulatory developments that may affect you and your situation. TEPs have access to a global network of 20,000 advisors and professionals, enabling them to share knowledge and expertise across professional and geographic boundaries and to offer a joined-up service that can really add value to you as a client.